R-Tekline™ Radio Technology RFID and NFC products. We offer customization on a full line of RDID and NFC products. 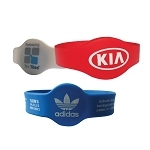 We can print just about anything you need depending on your product choice. Simple logos, text, full color logos, barcodes, QR codes, and unique IDs. Each product has its own specifications for custom printing so let us get involved from the get go on your custom order to make sure that it fits your visual needs as well as your technical requirements. Detailed sales quotes will be provided for quantities above those shown in our online store. Material costs and shipping fluctuate on R-Tekline products so if you have a large quantity we want to make sure we can offer you the absolute best price at the time of your order. Terms: We know you may need to set up a corporate account and use a purchase order for your volume orders. We are happy to provide a credit application for this purpose. Resellers: We work with resellers on bulk pricing and can blind ship direct to your customer. Price Matching: Find a lower price, please give us a chance to earn your business. The product you have been quoted by our competition may not be the same quality as R-Tekline NFC and RFID products. We will do our best to provide you with the same or lower price as you have been quoted. 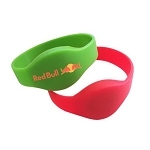 Tekbandz™ are the smart solution for festivals, theme parks, events, concerts, waterparks and much more. Scan and go cashless payment for convenience and safety. Eliminate ticket fraud, and capture customer data. Consumer and brand events, take your experiential marketing to the next level with RFID technology. We have the products you need for your next event. Please allow up to 24 to 48 hours for custom quotation.